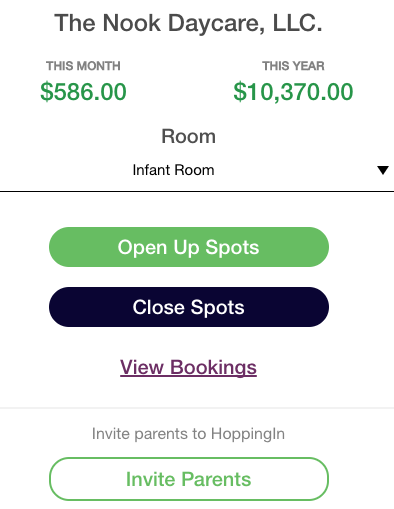 HoppingIn allows you to sell daycare spots that wont be used. It works by adding up the empty spots opened by you, plus the amount of absences reported by parents. Then, part time customers can book those empty days. 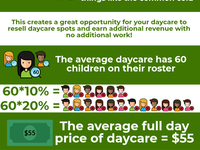 This will bring in extra revenue to help keep your daycare center running at optimum levels. Hoppingin boosts business, contributes to the community, and all with such ease. Pros: We often have spots to fill within our school and hoppingin allows us to fill those spots as best as possible. 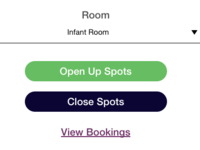 We either put the spots up for sale ourselves, when we know in advance, or our parents contribute by putting their spots up for sale when they know they aren't going to be us in them. It really does help us utilize the space in our school to its fullest capacity. 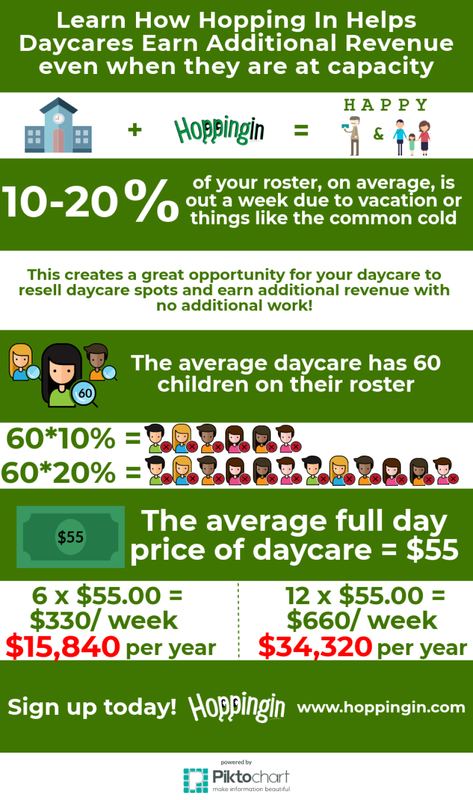 Which not only helps our school make more money but also helps the parents in our community out by us being more available for them. Cons: It would be helpful to get reminders the day before a booking, to not only remind myself but also the teachers that a students will be dropping in. I think it could be a very useful tool in the future.